I am working in the DFG-project "L²-Invariants of Quantum Groups" with Thomas Schick. My mathematical interests lie in Lie algebras, algebraic topology, L²-invariants in differential geometry and mathematical finance. I defended my dissertation in April 2013. 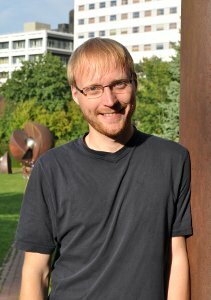 Starting from July 2013 I will be a postdoc at Bonn working with Wolfgang Lück. Here are the slides of a talk introducing the famous "Göttinger Koffer" on the construction of the regular 65,537-gon for the first Night of Science in Göttingen (in German). May 2009, Le Châtelard, Switzerland. Lattices in Semisimple Lie Groups (with Jean-François Planchat, winter 2011/2012).